This statement is made within correspondence in 1994 by an Eltham resident (NZ) to a US manufacturer of 1080 (details supplied in the document at the end of the article). 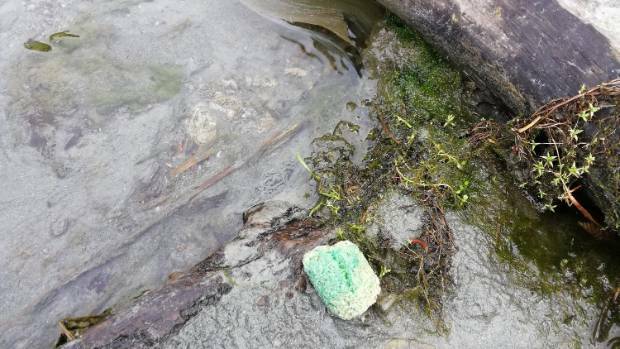 The person was trying to ascertain the level of risk to environment and health regarding an imminent drop of 1080 poison into a Taranaki National Park. It is interesting to note that the replies to all the risks the person raises in their questions are risks that are now deemed quite safe & have become normalized (to the authorities at least that is – many people are now very concerned, witness the recent hikoi & continual NZ wide protests going on). Nowadays we are told that 1080 targets pests and we are given the impression that little if any other form of wildlife is affected. In fact nothing could be further from the truth. A person told me recently in the Manawatu that she was told no birds would die in the bush nearby when it was 1080ed however to her surprise she found a dead bird after the area was treated. Of course we now know that this is a common occurrence by the testimony of many people who find multiple dead birds after drops, photograph them & post them online. And of course we have the various documentations that we’ve published here of multiple finds, with latterly the estimate by a Landcare scientist of 10,000 birds in a South Island drop. Just search ‘birds, 1080’ in our search box to find more. Again we have multiple examples of people finding themselves in drop zones without realizing it, some bombarded with pellets. We also have examples of families with children finding baits on the walking tracks. According to the above they are at substantial risk but DoC doesn’t seem to think so. They tell us “1080 presents little risk to humans or the environment”. We are regularly told that 1080 breaks down to harmlessness in water. A scientist told me the other day it is so diluted it isn’t a problem, repeating the cup of tea mantra we hear so regularly. We also learned recently it was added to water to poison ships rats and we heard from the former Greens co-leader that there are question marks over the official testing on 1080 concentrations in water. This is very enlightening. No wonder the data sheets tell us not to allow it into waterways. However NZ it seems makes up their own rules on that one. No research to prove their point, they just tweaked the rules. Here is a link to the information regarding the development of 1080 by Germany for use as a chemical weapon in water supplies. Not approved in the US! “Very very restricted & controlled areas” only. And here it is chucked around like a veritable lolly scramble. The baits aren’t picked up off public walkways & neither are the poisoned animals collected & disposed off, frequently left to rot in the water where eels and other meat eaters can feed off them (Watch Poisoning Paradise on that one). Remember the Hunua Ranges drop recently? A Court injunction to stop that one failed & during the proceedings DoC lawyers asked (and were granted) that the opposing lawyers not be allowed to question the DoC scientist. Now doesn’t that say something? Let’s not forget Bill Benfield’s revelation either that a drop in the Hunuas in the ’90s left the water filters packed with 1080 pellets. Good one DoC. And none of the public ever got to hear about it. Previously I’ve noted the frequent discovery of pellets on tracks, drops going on around tourists, pellets dumped near people fishing, on it goes. The veritable lolly scramble again. Water & wildlife contamination. Something we are repeatedly told does not happen. The manufacturer’s data sheet warns users not to drop into waterways. NZ has tweaked the rules of course so they can. You may need to make your own decisions on all of that & make your own plans for non-contamination if necessary. It does not look like anybody else is going to. In spite of a signed letter to Govt by 19 NZ Doctors concerned about 1080 health risks, the Hunua Ranges drop is going ahead! Note: remember people, this has been in court (big thanks to Sue Grey, lawyer) and DoC’s lawyers asked the judge for their scientist to NOT be cross examined. How dodgy is that? And the drop is going ahead. No surprizes there. See the Court approval here. The news here below is from Carol Sawyer. Open letter to the Government, Friday, 21st September 2018. As doctors, we are extremely concerned about the health risk of depositing poisoned bait over 22,500 hectares of the Hunua water catchment area. Specifically, we are concerned about Sodium Fluoroacetate (SMFA / 1080), a known deadly poison which is known to cause sub-lethal effects on reproduction and is classified as a teratogen, having potential to contaminate the Auckland water supply. There is no effective antidote for 1080 poisoning in humans. We are extremely concerned that public officials are not adopting a far more precautionary approach to the safety of the Auckland water catchment, especially when the effects of 1080, a highly soluble poison, is not quantifiably able to be tested on how it affects the health of humans. Studies show that 1080 affects the reproductive organs, the cardiac system, and respiratory system in mammals. There is no safe minimal level known and water testing and sampling after aerial 1080 application cannot prudently protect the public from risk of exposure from this poison. As doctors, we are responsible for the health of individuals and communities. Therefore, we ask the government to immediately stop the usage of sodium fluoroacetate which has potential to contaminate the New Zealand water supply. Dr. Charles M. Baycroft BSc; MD. FRNZCGP, Dip MSM, QBE. For related articles use ‘categories’ at left of news page. Also use the search box & see our 1080 pages at main menu. [NZ Herald] A trust opposing Auckland Council’s 1080 poison drop in the Hunua Ranges has won a court injunction temporarily suspending the operation. This happened also in 2015 as pointed out in the GrafBoys’ video. See also how the authorities testing get around the technicalities. The maps showing the drop area that included the waterways was obtained via the OIA. Watch the video at this link.